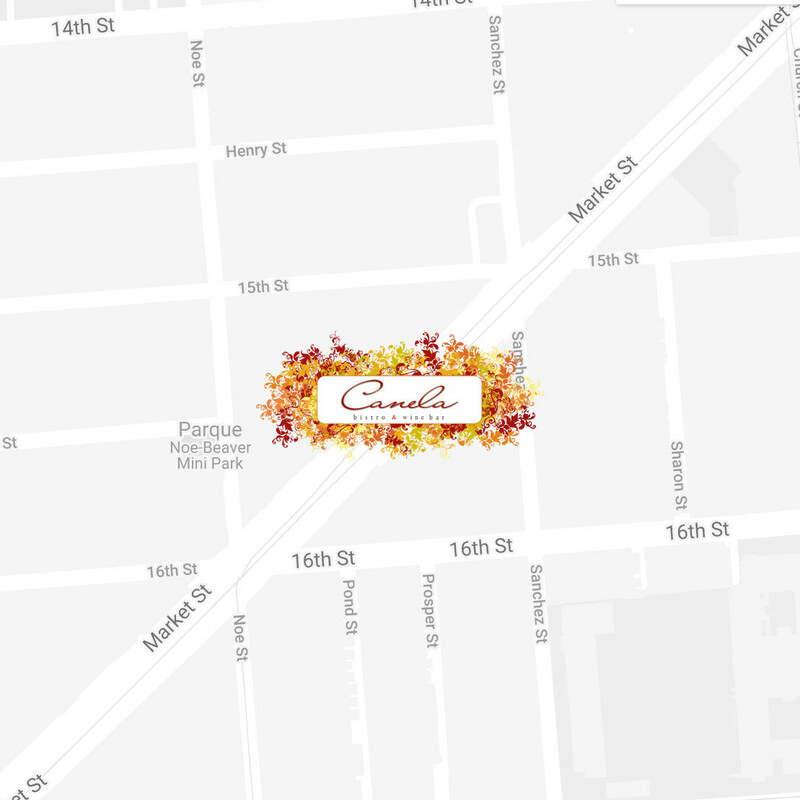 Welcome to Canela Bistro & Wine Bar in San Francisco! Our restaurant is happy to offer you a wide variety of entrees, tapas, raciones and cocas, all inspired by traditional Spanish flavors, using ingredients imported from Spain as well as local, natural and organic ingredients. Buen Provecho! Enjoy our selection of Tapas and Raciones great for sharing. Quesos, Ensaladas, Sandwiches, Tapas & More! Cheeses From Spain, Postres de la Casa, Coffees & Teas. Vinos de la Casa, Tintos, Blancos, Natural & Biodynamics among others. Canela Bistro Bar is the perfect setting for your special gathering or holiday party. Everyday at the bar from 5:30pm to 7 pm, as well as all night long out on the patio! always welcome on the patio, no matter which team they support! Canela has won the OpenTable Diners’ Choice Awards. From cocktails to dessert, we were impressed! We visited Canela & were blown away by the outstanding food, wine and service. Can't wait to go back. LOVE LOVE LOVE Canela The food is fantastic and creative. The ambiance is both relaxing and lively. Great vibe.